The base for the successful development of the Loesche ThermoProzess GmbH (LTP) goes back to the year 1875. With the formation of the company by Friedrich Küppersbusch, the organisation of the department "Fachbereich Wärmetechnik" and the integration into the Loesche group in April 2012, the market of industrial burners and process technology becomes accessible for the LTP. 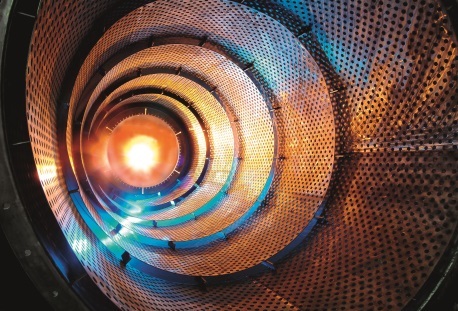 LTP is more than just a supplier of industrial burners. Firing systems for solid, liquid and gaseous fuels, hot gas generators, ladle heating systems and boiler heating systems with automation and worldwilde service completes our delivery programm. The quality and environmental management system (ISO9001 and ISO 14001), successfully certified by TÜV (German Association for Technical Inspection), is self-evident for the LTP. Burner systems like hot gas generators, thermal oxidisers, drying systems, ladle heaters, furnace heating systems.